I hate lists of things to try, do, or remember. I think that for most people it’s totally impractical to remember or apply them. If a post boasts “5000 Ways to Improve Your Memes” I won’t give it a 2nd thought. If it offers 5, I might think about clicking it. Only 3? Now we’re talkin’! So I’m apologizing in advance for this list. 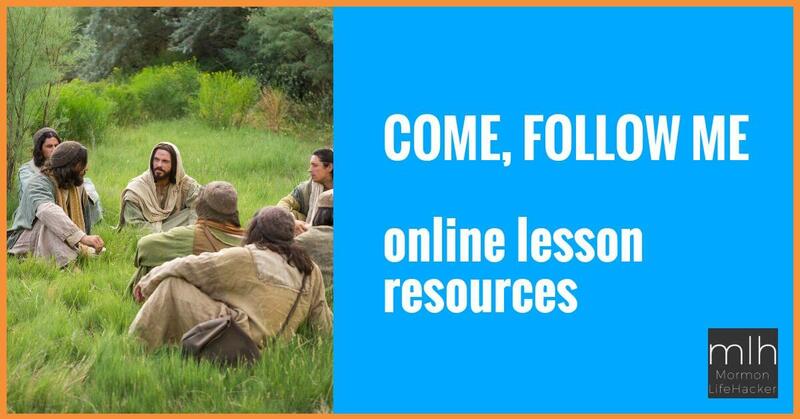 However, these are carefully selected resources that I use myself, and I think you’ll find very helpful for your Book of Mormon studies and lesson preparation as we study the Book of Mormon in Sunday School this year. AND (here’s the kicker): you don’t have to remember any of this list, just bookmark the ones you’ll use to study. These first resources are for all of us. Anyone can use these and they’re very helpful. This is a pretty simple one. It’s just a plain text version of the Book of Mormon. There’s no fancy formatting, no footnote references numbers, or any of that stuff that gums up your copy/paste when you’re trying to reference scriptures outside of LDS.org, or get them into Evernote or another digital journal. BYU has this really cool “Scripture Citation Index” that we’ve written about before. It allows you to look up any verse in the LDS canon of scripture, and see where it’s been quoted by prophets in The Teachings of the Prophet Joseph Smith, The Journal of Discourses, and all conferences talks from 1942 to now. So it’s not totally complete, but covers most of the talks and teachings of the restoration, from the brethren. The interface has been updated since we reviewed it, but the principles are still the same. Conveniently Noah Webster published an 1828 edition of his popular dictionary. Since it was during Joseph Smith’s lifetime, it gives us clear definitions of what Joseph Smith and other early saints would have understood the language of the BoM to mean. For example, Loren Spendlove wrote a great article about how much better the 1828 Webster’s helps us understand some key words in Nephi’s writings, than the modern Oxford dictionary. I love the simplicity of the site: just search for the word you want. I’ve found it hugely helpful in better understanding key words or phrases in my studies. There’s some debate about whether or not Webster’s 1828 Dictionary is the most helpful dictionary for understanding the Book of Mormon language. However, even if the language of the Book of Mormon seems to date to some earlier time, at least the 1828 gets us lots closer to the correct definitions and certainly gives insight into how the early saints would have understood it’s language. We all know, and dread, “those Isaiah chapters.” Nephi directly quoted (and Mormon copied into the Gold Plates) many chapters because he loved them so much. Avraham Giliadi’s Isaiah Explained is an excellent resource that gives an alternative translation that makes some of it easier to understand. Plus it includes a commentary, and a concordance (like an index… sorta). Just hit the chapter you want, then select the view you want: new translation, new translation beside the original, new translation with commentary, or interactive concordance. Play with it a little while, if you’re interested in understanding Isaiah, you’ll love it. Prefer listening? John Riley, a scholar sometimes known as “Bible John” online (he’s LDS) has a great podcast series that walks through Isaiah chapter by chapter. You can find it on YouTube or subscribe to the podcast. These are a little bit more advanced resources, that might be more helpful to those trained in academic research and the like. But I really believe anyone can make good use of them, if they’re trying to take their understanding and knowledge of this sacred book, a little further. Ever wonder if a phrase or word might have been changed from the original translation? Or if there might be hints at the meaning in an earlier edition? The Joseph Smith Papers offers high-resolution photos of original documents like the Printer’s Manuscript and various early editions of the Book of Mormon. Book of Mormon Central is working on an online, interactive text of the Book of Mormon. It’ll include some excellent resources to quickly learn about words, ideas, and concepts from various scholars. It will also include the product of Royal Skousen’s book The Book of Mormon: The Earliest Text. Skousen has spent much of his life trying to reconstruct the original text of the Book of Mormon, as it came from Joseph Smith’s lips. This interactive version looks like a super cool tool to better understand our sacred scripture. Alas, it’s not completed yet, and the demo doesn’t even work correctly for me on the Chromebook which I’m writing (the whole site is a bit “less-than-polished” from a technical standpoint). When finished and working correctly, this should be an awesome resource for all. “Etymology” is the history or source of words. So if you’re having a hard time understanding a word or phrase in the BoM, just put it into the Online Etymology Dictionary search, to gain some insight into where the word came from and what it may have meant in times past. A man named John W. Welch discovered Chiasmus in the Book of Mormon many years ago, while serving a mission in Germany. Chiasmus is a form of writing that was commonly used in ancient Hebrew writings. It’s sorta like a form of poetry where the first and last parts of the Chiasm mirror each other, as does each additional concept between those, with the very most important theme at the middle. Today Welch is a renowned scholar, who’s writing I love (check out one of my all-time favorite Ensign articles). Along with some other scholars, Bro. Welch created a website of Chiasmus resources. It includes a section for Book of Mormon Chiasmus which is terribly interesting, even if it’s not the most easily accessible for us non-scholars. Thanks to Aaron L. M. Goodwin, and Steve Reed over at oneClimbs for introducing me to several of these resources. They’ve proved invaluable in my personal studies. This looks like a great list. Some I’ve used, some I’ll have to look into! Thanks for the shot out, Tevya, I’m glad that you’ve found some great use in many of those resources and have shared them with your readers. One other resource I have found is my personal favorite version of the Book of Mormon just for reading. It’s the Grant Hardy Reader’s Edition and it is fantastic. The chapters and verses are deemphasized so that the narrative of the text reads more like a novel. He has added his own headings to sections of the text where the flow changes and put certain verses into poetic stanzas. I wrote a review of it back in 2011 here: http://oneclimbs.com/2011/12/19/review-the-book-of-mormon-a-readers-edition/ thanks for all you do for the community! Sweet! Thanks for those tips Steve. I’ll check them out. Also, Tevya, when the time comes that you do a resource post for the D&C, you’ll find several resources on my site, including a geographical timeline in the style of the OT seminary bookmark. And everyone in the world needs to look at Steve Reed’s websites. His symbolism stuff is stupendous! I ordered his decks of symbolism cards for all my siblings.